We all spend copious amounts of time dreaming up beauty products that will complete our lives, followed by driving yourself crazy buying product after product, in search of the one worthy of inspiring Channing Tatum treat you to a private show of that incredible Pony dance routine just to stare at our magical mugs. Right? I’ve searched for the perfect mascara my entire adult life, looking for one that will give my lashes the indefinable perfection that I want. It’s a hybrid of Twiggy’s chunky baby-doll eyes and Kim Kardashian’s kurled fan of foxhair and mink kustom-made falsies (I’m extrapolating here, but it’s probs close to the truth). Did I mention I want to achieve this imaginary look without the help of false lashes? Because I do. I don’t have the time or steady hands that applying them every morning demands, plus I’m afraid of being mistaken for a stripper. As the ever-wise Marina Diamandis of Marina and the Diamonds once said, “All I ever wanted was the world; I can’t help that I need it all.” (That’s from Primadonna off their new album Electra Heart) I’ve tried countless mascaras, but each has failed me in some way because I want them all to curl, lengthen, volumize and define at once. Is that so much to ask? Yes, you might be saying; this chick is cra. Well my pretties, that’s where you’re wrong. The search is over (at least until my tube dries up and I compulsively run to Sephora in search of the next best thing). I bought a mascara and it SATISFIED me. 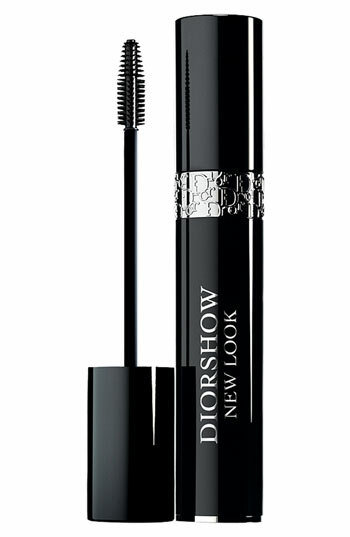 It’s all about Dior DiorShow New Look mascara. I know, I know—DiorShow, old news, right? Wrong. This stuff is completely different from the overrated clumpscara of yesteryear. The brush and formula have both been re-imagined and the difference is analagous to the Serena to the old version’s Blair. It does it all, yet it doesn’t flake, clump or mysteriously vanish by the end of the day. It’s wetter than the original formula, which makes it much more workable—you can easily use a lash comb to separate if necessary, or apply excessive coats, as I am wont to do, without worrying about chunkiness. The nearly-microscopic rubber bristles—the nano-brush, as they call it—grab even the tiniest of lashes and allow you to build upon the tips of them for crazy length. And can you really put a price on feeling like Brit Brit? Follow Taylor on Twitter @TSmellsworth. I LOOOOOOOOVE this mascara! I too am satisfied. This is my new HG. My lashes look AMAZEBALLS! 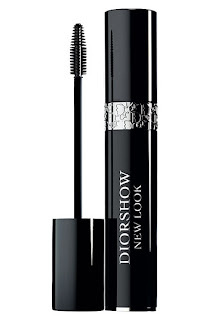 Nothing makes me hopeful like a rave review of a new mascara. I want to believe!